The world's largest toymaker unveiled its Star Wars toys to coincide with Disney's Force Friday toy extravaganza. Legos can make more than just space ships, though. NEW YORK (TheStreet) -- More than 80 years after its launch, it's still great to be Lego, the world's largest toymaker. The Danish maker of colored plastic bricks said on Wednesday that sales for the first-half of 2015 increased 23% to $2.1 billion, surpassing Barbie-maker Mattel's (MAT - Get Report) $1.9 million and Hasbro's (MAT - Get Report) $1.5 billion. Lego's operating profit jumped to $700 million compared to a loss of $54 million at Mattel and a profit of $130 million at Hasbro. The company experienced double-digit growth in all regions, including and especially Asia. "We are pleased that we have again been able to develop exciting and fun play experiences that really appeal to children all over the world," CEO Jørgen Vig Knudstorp said in a statement. "A strong performance across the entire product range enabled us to deliver a highly satisfactory result for the first half of 2015." Lego is continuing its momentum, jumping on the Star Wars toy trend with its $150 set for the Millennium Falcon spaceship in the new Disney (DIS - Get Report) movie Star Wars: The Force Awakens. That's just one toy in its new Star Wars line, according to Gizmodo. It was The Lego Movie, released in 2014, that catapulted the seemingly timeless toy company back into the spotlight. The film grossed $257.8 million domestically and $468.8 million worldwide. A sequel is scheduled for release in 2018, and two spin-offs are set for 2017. Lego sets are just one way consumers can build the plastic blocks into artistic creations. Lego aficionados over the years have built stuff that most people might think impossible, including a dinosaur, robot and a Volvo car. 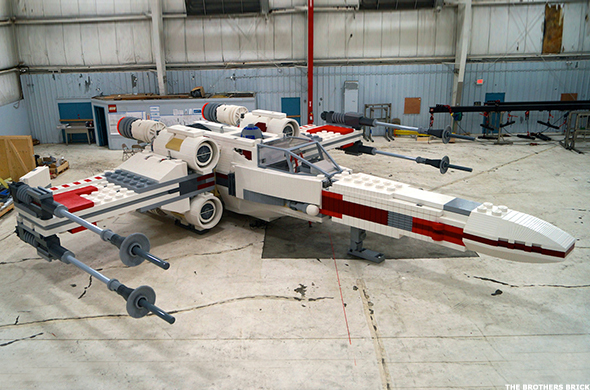 Below are 10 of the most amazing Lego creations ever made. Rubik's cubes can get real frustrating, real fast. And to make you feel even worse about your (lack of) ability to solve the 3D puzzle nightmare, consider a Lego robot managed to do it in just three seconds. In March 2014, the CubeStormer 3 robot solved a Rubik's cube in 3.253 seconds, breaking the record previously held by the CubeStormer 2, which did it in 5.27 seconds back in 2011. The fastest a human has ever solved a Rubik's cube is 5.25 seconds -- a record set by American teenager Collin Burns in April 2015. 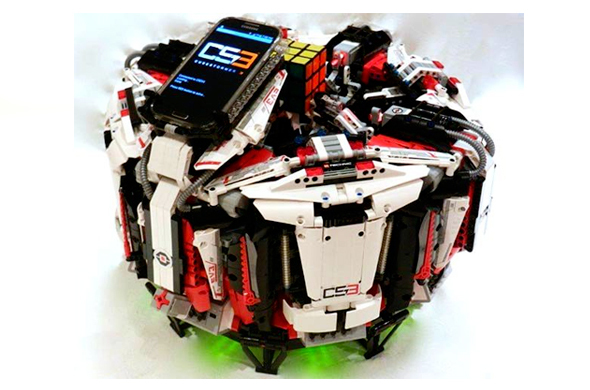 The CubeStormer 3 was built by David Gilday, a principal engineer at semiconductor intellectual property supplier ARM, and his co-inventor, Mike Dobson, from Lego kits and powered by a Samsung Galaxy S4 phone. See it in action here. Atop of the Lego Store at the Mall of America in Minneapolis, Minnesota stands a 34-foot-tall robot. When unveiled in 2011, it was the largest Lego model in the world. The robot is one of six models constructed at the Lego Group factory in Kladno, Czech Republic, to be placed in the Mall of America. "We have built something special to catch people's attention -- even when they are sitting in the Ferris wheel at the mall's amusement park they can see the models. You feel really small when you look at the models," said Justin Tripp, vice president and leader of the company's brand retail stores, at the time. Lego and Star Wars are apparently a good fit. In 2013, the Lego Group revealed a replica of the Lego Star Wars X-wing starfighter in New York's Times Square. 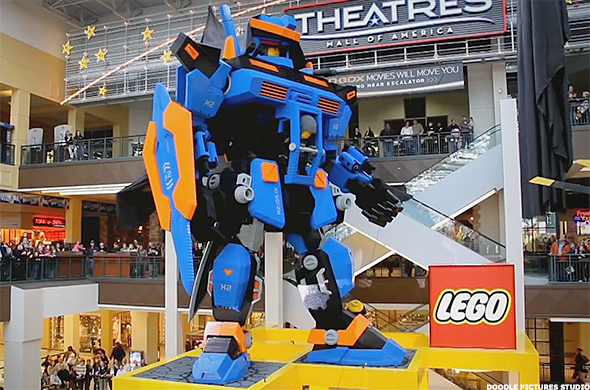 It surpassed the Mall of America robot as the biggest Lego model in the world. The replica took 32 master builders, five million Lego bricks and more than 17,000 hours to complete. It weighs in at 45,980 pounds and stands 11 feet tall and 43 feet long with a wingspan of 44 feet. It now resides at the Legoland Billund Resort in Denmark. New York-based artist Nathan Sawaya is known for creating works out of unlikely things -- including Lego. His The Art of the Brick exhibition is the world's largest display of Lego brick art and features a number of incredible pieces, including an enormous sculpture of a tyrannosaurus rex. 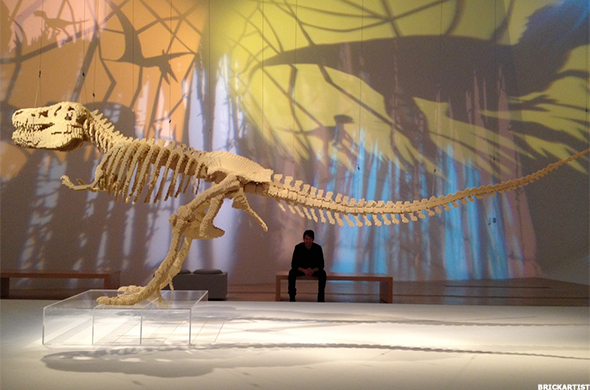 "Dinosaur" took three months to construct and is made of 80,020 Lego bricks. Sawaya was inspired to build the piece as a way to give something back to children who showed their support at his first solo show, although he has admitted it was no easy feat. "It took an entire summer and nearly drove me crazy. Do you know how many ribs a T rex has?" he told The Guardian. 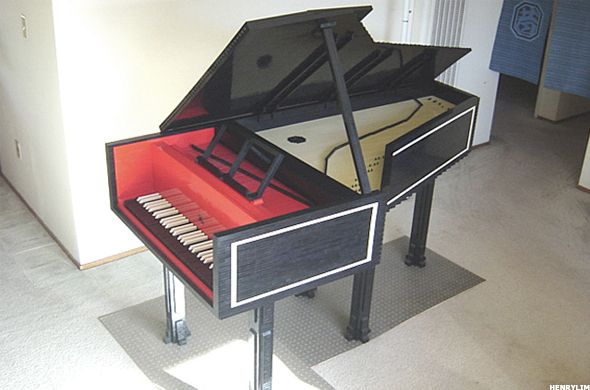 With the exception of the wire strings, the Lego harpsichord is entirely constructed out of Lego parts -- and it is playable. The project took Lego sculptor Henry Lim, who is by day a technical services assistant at UCLA's music library, two years to complete. You can listen to it play here. Lego-made machine guns pack a whole lot less punch -- and stir up much less controversy -- than the real thing. And apparently, they're a fairly popular DIY project as well. 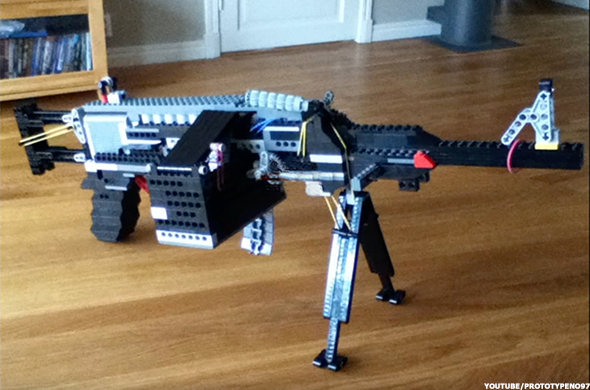 YouTube is full of videos of people making and using Lego machine guns, like this one. Apart from the T-rex, Sawaya's The Art of the Brick exhibition also features a number of Lego-made replicas of famous paintings, including Vincent van Gogh's Starry Night. 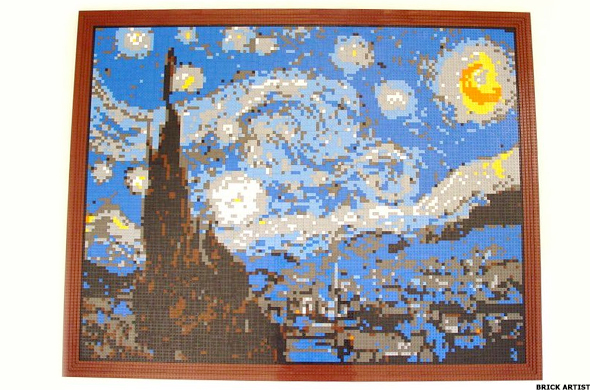 "I have seen this painting reproduced before out of Lego and I wanted to try and add my own interpretation to the mix," the artist said. He has also created Lego interpretations of Leonardo da Vinci's Mona Lisa, Edvard Munch's The Scream and Auguste Rodin's The Thinker. 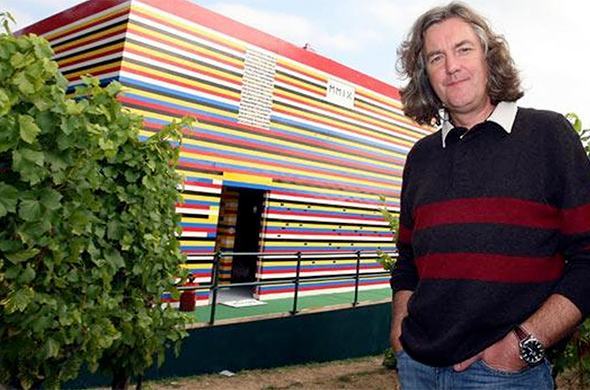 The Lego house built by English television presenter and journalist James May was quite an accomplishment. The two-story structure took 1,000 volunteers and more than three million bricks to build for an episode of the show Toy Story in 2009. Unfortunately, the structure was short-lived. The house was demolished after a deal to sell it fell through with the potential buyer realized how costly it would be to dismantle and rebuild. Luckily, the Lego house still lives on in video. 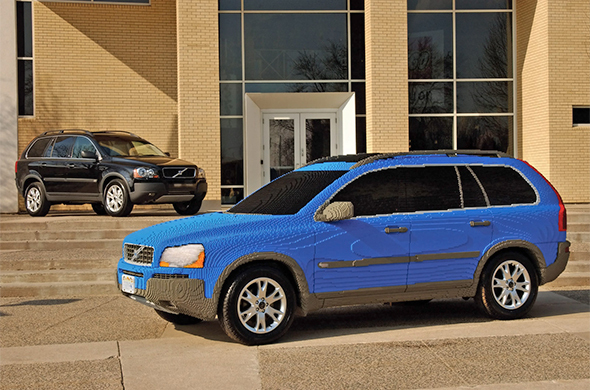 Built in 2004, the Lego replica of a Volvo XC90 is made up of 201,076 legos and weighs in at 2,934 pounds. It is so well put together, a group of employees at Legoland California decided to play a prank on their general manager, Peter Rochetti, by swapping his own Volvo out for the Lego version in 2011. Even if he had fallen for it, he wouldn't have gotten far -- the Lego Volvo XC90 can't drive. 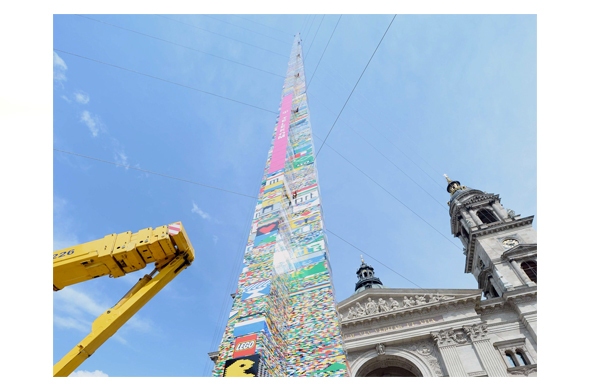 It took a team of official Lego builders from Denmark and local school children just four days to construct a 114-foot tower in Budapest in 2014. The "modern obelisk" was erected in front of Saint Stephen's Basilica using over 450,000 blocks and was registered to the Lego Store Budapest. The Budapest structure broke the world record for the tallest structure built with interlocking plastic bricks -- but it didn't hold onto it for long. In July 2015, a Milan Lego building put together by Lego Italy surpassed the Budapest construction by less than an inch. It took 550,000 Legos, five days and 18,000 builders to put it together.